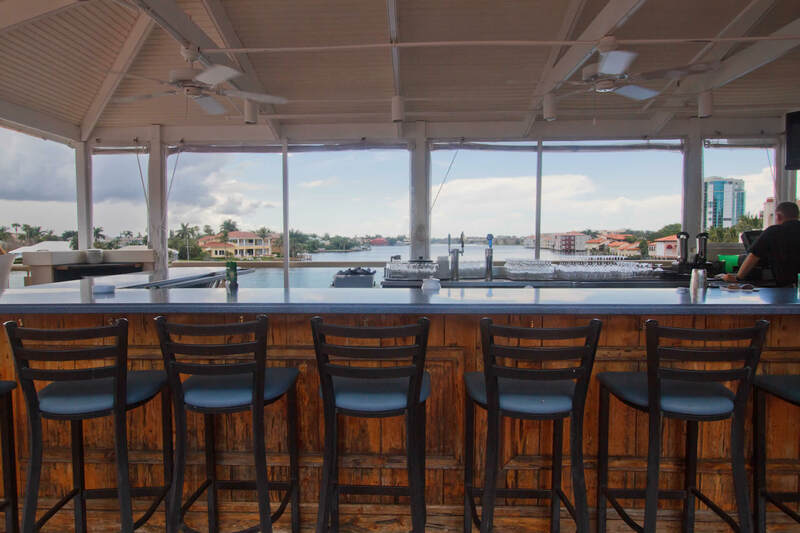 In 1990, when the Village on Venetian Bay was being developed, Tony Ridgway, Sukie Honeycutt and their then-partners were approached about building out a new restaurant concept in the waterfront space. Bayside Seafood Grill & Bar was the result of that opportunity, and remains just as popular today as the day it opened. In that time, “the Village,” as it’s locally referred to, has become an iconic destination for fine dining and boutique shopping. From our southern vantage point, Bayside enjoys panoramic water views from our downstairs Café and second-level Grill and Upper Deck. Guests are encouraged to keep an eye out for dolphin sightings, or simply sit and enjoy the vista, including the glowing evening skies of Naples’ famous sunsets. The cuisine at Bayside has a strong seafood focus, but we are food lovers who enjoy a little bit of everything! 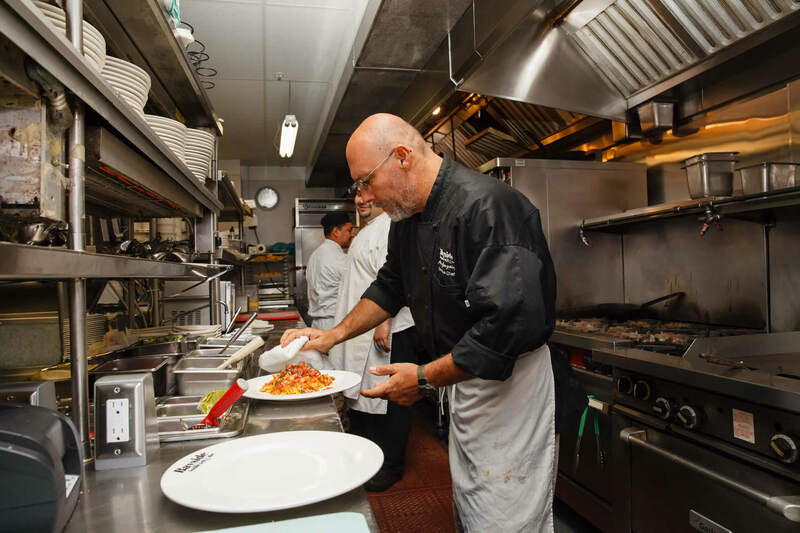 Abel Gonzalez, Bayside’s executive chef, is a Naples native and former Marine who has gained hometown acclaim as one of the most respected local chefs. Abel hand-selects and inspects all seafood prepared at Bayside, and oversees all menu creation and the kitchen team. At the culinary helm at Bayside for over a decade, Abel is a key member of our restaurant family, and collaborates closely with co-owner Tony Ridgway on menu development. Enjoy several different menus throughout Bayside, from our more casual Café to the refined Grill to a creative cocktail and snack at either of our bars. 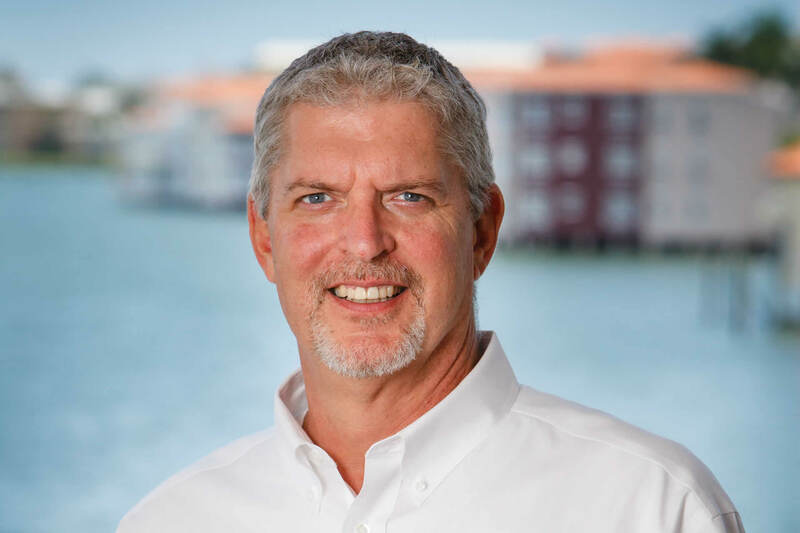 Another vital member of our Bayside family, John Everding, our managing partner, has been with the restaurant nearly as long as we’ve been open. Coming from a family legacy of fine dining, John is the eyes and ears of the service side of the business, ensuring our patrons’ needs are met, and their experiences are memorable for all the best reasons. Private parties at Bayside are under the purview of Jennifer Shreve, who works tirelessly to plan and execute functions of all types and sizes, including small weddings and corporate events. Open daily including all the major holidays, Bayside is the perfect spot to mark life’s simplest moments, major occasions, and everything in between.